He, however, said his People’s Progressive Party (PPP) would continue to demand that the Guyana Elections Commission (GECOM) be in a state of readiness for early polls because the Caribbean Court of Justice (CCJ) could soon decide whether Friday’s decision by the Appeal Court that last December’s no-confidence motion needed 34 instead of 33 votes was valid. “We will continue to argue for GECOM to be prepared for early elections because there is a great possibility that this adverse ruling could be overturned at the CCJ and if its overturned there and they are not prepared, then that would mean further delays in Guyana in conducting elections so we would be pressing for GECOM to continue their preparation for early elections,” Jagdeo said in a video release. He said if the CCJ upholds the Guyana Court of Appeal’s calculation, then there would be no election. He also registered his concerns about the majority decision by the Court of Appeal that the no-confidence motion was not validly passed by 33 of the 65 votes in the National Assembly. “No strange logic, no strange mathematics can change what is in the Constitution. The Constitution says the majority of all elected members of the National Assembly – and there are 65 of them – and therefore the majority has to be 33,” Jagdeo said, adding that ‘absolute majority’ was a “strange importation” into Guyana’s constitution. Jagdeo had wanted general elections by March 21 that marked the end of the 90-day period after the December 21 no-confidence motion. After that date had become elusive he then pushed for April 30 when the existing voters’ list expires. The Carter Center earlier this week had proposed as an alternative that steps be taken to extract the names of emigrants with the aim of holding elections in July or August rather than conduct house-to-house registration after which Guyana could see elections in November 2019. Chancellor of the Judiciary, Yonette Cummings-Edwards and Justice Dawn Gregory accepted the arguments of government-hired lawyer, Queen’s Counsel Dr. Francis Alexis that 32.5 (half of the 65-seat National Assembly) is rounded up to 33 and an absolute majority is acquired by adding one to make it 34 votes. 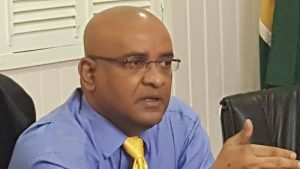 In that regard, Jagdeo said his part would respect the Court of Appeal’s decision. “We’re respectful of the ruling of the court. We have always been respectful of the rulings of the court. One of the reasons we joined the CCJ is to have this external review and we hope that we would be able to convince the CCJ, and we think we can, that the no-confidence motion has been validly passed,” he said. He observed that decisions on political cases “often” go “against us”, pointing out that one such matter was President David Granger’s unilateral appointment of Retired Justice James Patterson as Chairman of the Guyana Elections Commission. Jagdeo, who is also General Secretary of the PPP, said Friday’s ruling was not a setback. “We will continue to remain mobilised. We will continue to work every single day to ensure that people across Guyana know of the nature of this government they have witnessed in the past when the Chief Justice ruled and there was no stay to that ruling, that the government continued to act with impunity,” he said. Jagdeo said there was widespread acknowledgement by, among others, then Opposition Leader David Granger, and Carl Greenidge and Attorney-at-Law Nigel Hughes who had been advocating for a no-confidence motion based on 33 votes. The former Guyanese leader said the matter would be resolved “definitively” in the CCJ, the next level of appeal. At the same time, he welcomed the Guyana Court of Appeal ruling, saying it would be dealt with swiftly by the Trinidad-headquartered CCJ. Jagdeo appealed to his supporters not to become demoralised but continue to work in communities across Guyana. Jagdeo told them that 1,000 would show up. 50 did. Jagdeo paid them and promised them food and water and warned them that blacks would attempt to beat them up. A black woman, maybe even a PNC supporter, rescued them. Btw this same CCJ hasn't been in a habit of ruling in favor of the PPP. Maybe they will this time. It is natural that some will interpret this court decision as a political vote (2 Afros v 1 Indo), given the fact that the country is so divided. Jagdeo will take this to the CCJ. 1) The coalition should continue putting together a case against those involved in Pradoville...and make an example of some of those people engaged in corrupt practices, especially as a deterrence to anyone planning to steal oil money. 2) The PPP needs to remove Jagdeo and Irfaan from the PPP leadership and seek new blood, intelligent people and build a genuine multiracial party...there is no chance they will win in 2020. Both individuals, (including others like Priya, Edgehill, Rohee, etc) need to be replaced. They are a stain and a disgrace to the PPP. 3) The PPP should push for constitutional reforms that strips the presidency of immunity. 4) Politicians from all the parties should work together to change the racial politics that has been going on since independence. I believe you making this up to get one over on KP, Dave DrugB and Skeldon-Man...by the way....where are these guys? Were they on the picket line? Based on the events today in Ft Wellington the PPP needs to put aside the notion that the base worships him as they once did the Jagans. Jagdeo is seen as selfish, corrupt and egotistic. A man who will use others to achieve his own goals. A dishonest fraud who abuses his own base to benefit his oligarch clique. Look at what happened to the estates that he closed down. Land assigned at below market rates to land speculators. Then there is the Berbice Bridge, another grab by the oligarchs, using taxpayer dollars. Get rid of Jagdeo and replace him with people like Ramson and Anthony. At least people will listen to them before they decide that they like or dont like them. We already dont like Jagdeo, and this includes more of the PPP base than the PPP frauds are willing to admit. The comments were allegedly made by a woman at the Ft Wellington protest. She showed up because she was PAID and promised food. NOT because she cares about the issue. They told her 1,000 would show up but only 50 did. I guess those desperate enough to stand up all day in the hot sun for the $5k and food and drink. See the PPP Ft Wellington here on GNI if you want more info as to what happened. Don't worry, yo folks will celebrate again as black will support black in ccj, you are on the money that ccj support pnc all the time. But they got to be careful that they don't dig their own graves with the fuzzy ruling. Yo LIE again ... where is your source for this information. This ruling has technically and effectively delegitimize the coalition! So you base your conclusion on a rumor of a comment on one women! And those with dual citizenship will not be allowed in parliament- I think. Two separate issues. On the number, it’s BS. Today you pick 34 tomorrow 33. This calls into question the entire governing model. I don’t think this was a well thought out decision by the court but was more for political expediency. If you must have a majority of one on a mathematical half, then increase the MPs to 66 with the speaker as tie breaker. This ruling has deepened and compounded the crisis! There is no simpler way to determine a tie breaker in a group of people than having the aggregate of the group equal an odd number. There are no fractions of people. 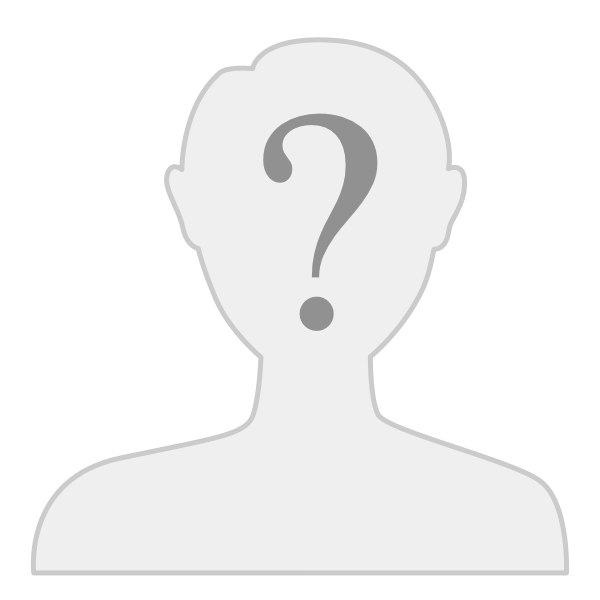 It had to take the bombast of the PNC to make an issue of what constitute a majority of an odd number of persons. But even then, it required and got the bully nature of the two PNC supporting judges to import a word into the constitution. Having the speaker as tie breaker will still give the result like Patterson at GECOM so that is not foolproof either. I agree, the odd number was there to ensure no tie-breaker needed. Now the PNC cohorts in the court have bastardized and make a mockery of their own constitution. So then, what's the solution? This means 33/32 will never be a viable majority and the only number will be 34/31, a majority of three! I believe the court made a major blunder, rigging version 2019! I believe Guyana is heading right back into the abyss of pre-1992! 2) The PPP needs to remove Jagdeo and Irfaan from the PPP leadership and seek new blood, intelligent people and build a genuine multiracial party...there is no chance they will win in 2020. Both individuals, (including others like Priya, Edgehill, Rohee, etc) need to be replaced. Vish, I gather you would like the PPP if it beheads itself and replace its heart and kidneys. Sorry, that's not gonna happen. PPP ain't guinea pig. There are lots of criticisms that could be justified against the PPP. Throwing out the baby with the dirty bath water isn't a solution. That is why I will never support the PNC. They have yet to prove that they are willing to behave according to the rules set forth.